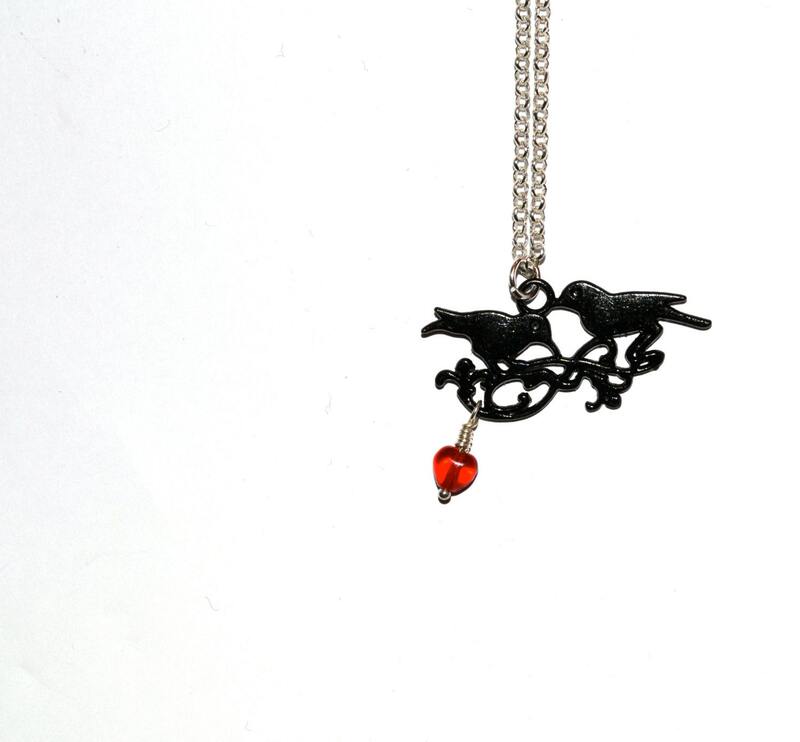 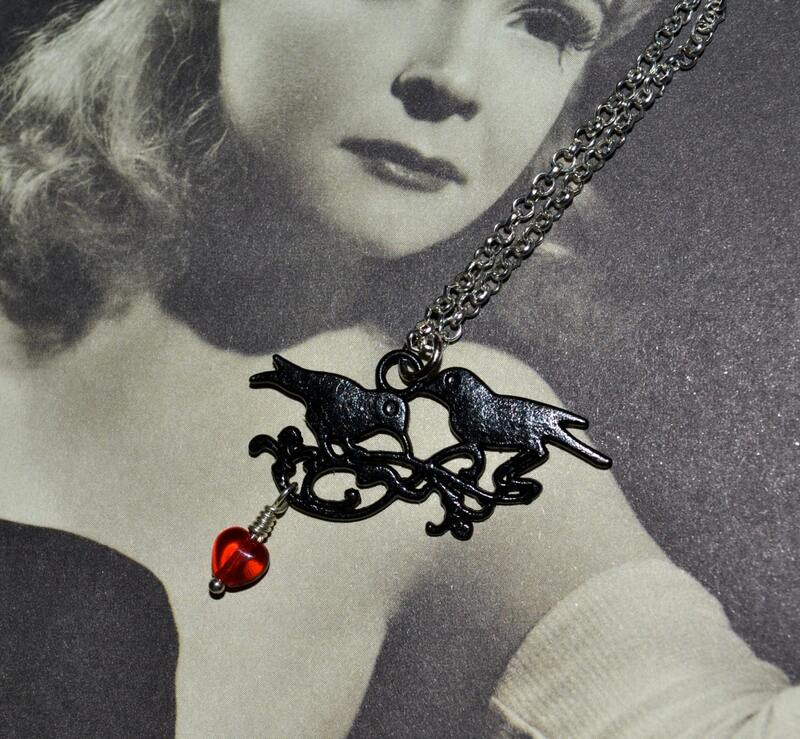 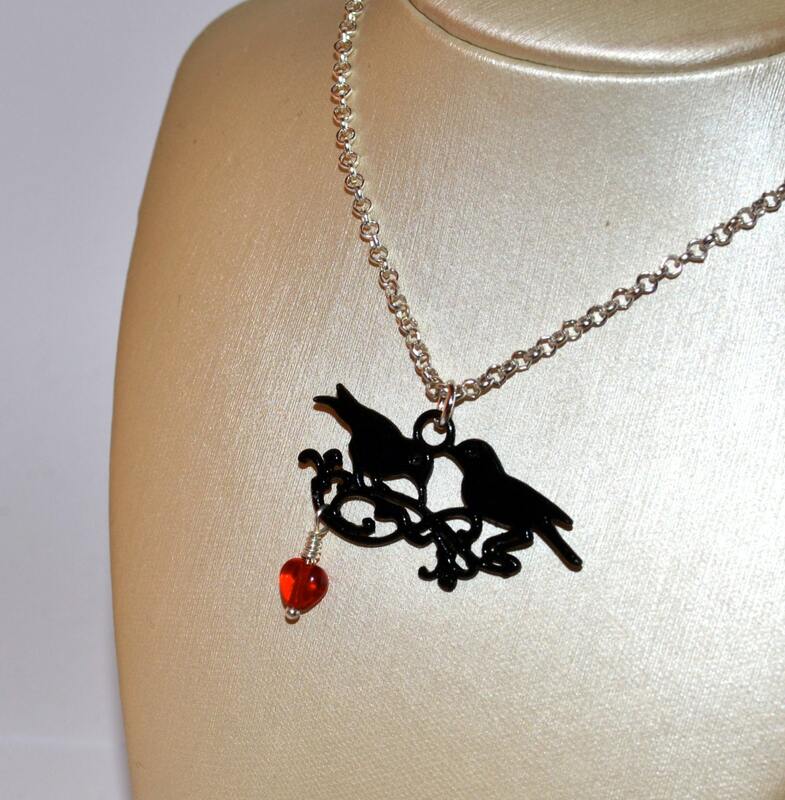 This pretty necklace features a lovely ornate black-painted metal charm of two birds on a scrolling branch, accented by a tiny red glass heart bead. 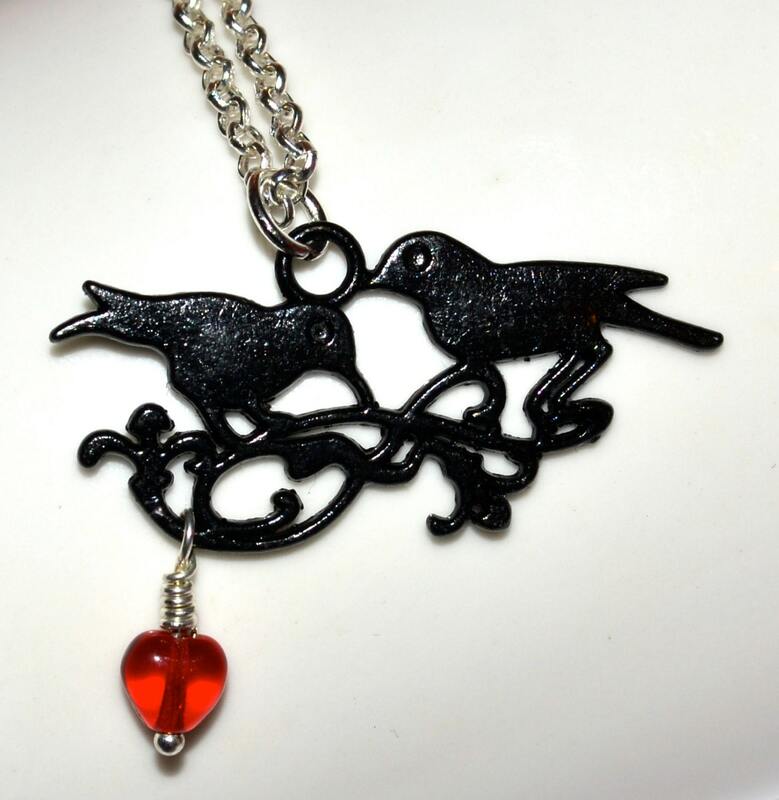 The charm section is 1.5"/3.5cm wide. 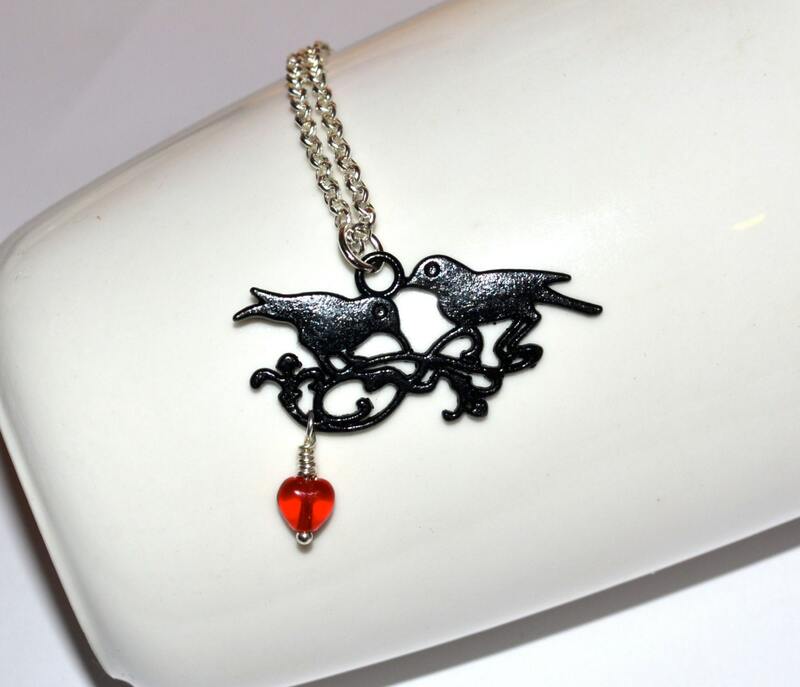 The silver plated rolo link chain is lead and nickel free and fastens with a lobster claw clasp - please choose your preferred length from the drop down menu.